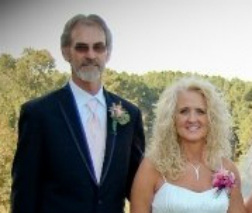 Ray and Donna Guthrie started in the vinyl business by underpinning mobile homes for local dealers in the Walker County area in 1988. Ray looked for opportunities to expand and opened a small store,which sold vinyl siding and underpinning. With much gratitude to God for blessings and their customers for patronage, they expanded several times. During the time of expansion they have added to their product line time and time again. The inventory grew to what is now easier to visualize as "exterior building products". Take a minute to browse the photo gallery. There you will see the many products available to increase your home's curb appeal and give it the look you deserve!